Clump forming, rhizomatous perennial with erect green stems bearing oblong, softly toothed, grey-green leaves. 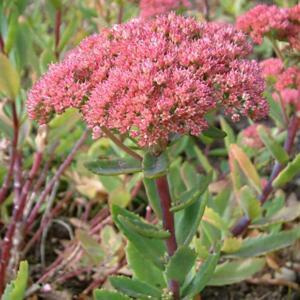 Purplish-pink flower clusters in late summer to early autumn. Any well drained soil, in sun or part shade. Tolerant of poor soils and drought. By division, seed or cuttings. Wide range from Europe though Russia, Siberia China and Japan.